Many people have this naïve view that a pastor just has to preach and love people. Not so. Pastors certainly have to give a priority to preaching and ministry to others, but the pastor’s week is filled with unexpected and multifaceted demands. Many times pastors need to lead the church in a new endeavor, something that gets the members out of their comfort zone. And sometimes it gets pastors out of their comfort zone. Relocation. A new ministry. A second campus. New staff and changing staff positions. Purchase of property. 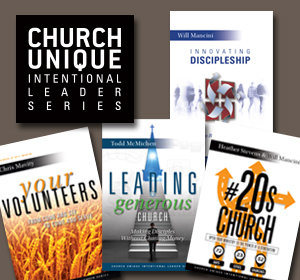 These are but a few examples of leadership challenges some pastors have not seen before. These challenges not only require basic leadership skills, they require leadership skills in often-untested areas. Change leadership. Financial risk-taking. Breaking of routines. New paradigms. 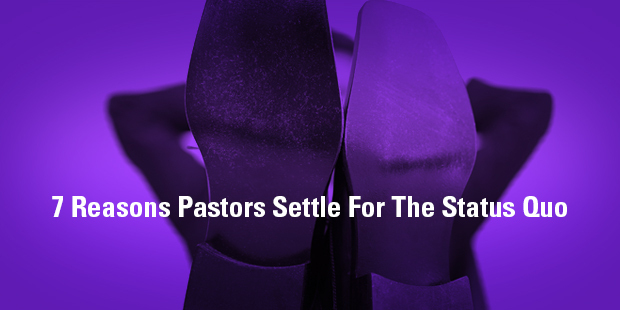 When pastors face these new challenges, it is not unusual for some to get cold feet. They decide the pain is not worth the potential gain. They get cold feet and settle for the status quo. Why? Here are seven of the most common reasons. The critics. Major change often engenders major criticisms. Too many leaders will stick with the status quo until their churches are on the path to death. They just want to avoid the critics. Remember, the vote to go to the Promised Land lost 10 to 2. They naysayers yielded to the critics, the whiners, and comfort-seekers. The energy drainers. These are the people ready to vote no before they hear the motion. They always have a better idea. They want to tell you what to do, when to do it, and how to do it. And they will wear the pastors out . . . if the pastors let them. Lack of knowledge. Pastors are often placed in positions of leadership and relatively large budgets with no preparation. It’s hard to lead a challenging project if you can’t read a financial statement. And while pastors can find more seasoned laypersons to help them, the pastors’ lack of knowledge can be a showstopper. Prayerlessness. With God all things are possible. But if pastors have gotten too busy for God, they are too busy to lead forward. Frankly, pastors should have cold feet if they have not prayed about their own leadership and the endeavor they are about to lead. Short-term view. Pastors who don’t plan to hang around long can have cold feet about leading projects that may have a longer view. I have advised many pastors not to move forward on a major endeavor unless they plan to see it through. So cold feet in this case is probably the right temperature. Inadequate staff and lay leadership. I get this one. I spoke with a pastor this week who expressed concerned about the leadership around him. He was not sure he would have the right team for a major and visionary endeavor. I urged him to look behind his present team and see if God would raise up some other leaders in the church. Faith-as-idea. It really sounds exciting to take steps of faith . . . until it’s actually time to take those steps. To continue the Promised Land metaphor from point number one, leaders get to the edge of the Promised Land and freeze in their tracks when they see the challenges (see Numbers 13). Any step of faith will have its challenges. The question is: Is your faith bigger than your fears? We need an army of church leaders who are bold and courageous. We need the spirit of Joshua 1 instead of Numbers 1. I pray for our pastors. I pray they will truly be the courageous people God has called them to be. We really need to move forward to our Promised Land.